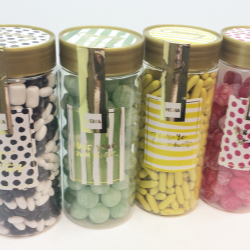 A striking gold cap designed and manufactured by Kornelis caps & closures has been selected to increase the appeal of Hema's range of candy. 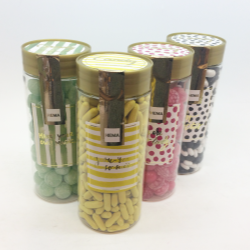 The 63mm continuous thread PP cap fits perfectly with the transparent jar used for storing the candy and ensures they maintain their freshness and delicious taste for as long as possible. As a finishing touch there is also a gold top label for tamper evidence and maximum visual impact, as the jars take their place on the shelves of the huge retail chain in France, Germany and the Benelux region.